Come and enjoy a free bandstand concert in the beautiful setting of the Phillips Memorial Park, by the River Wey. 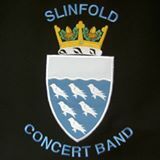 The concert will take place whatever the weather but if it is very wet then we'll re-locate to the nearby parish church of St Peter and St Paul's. Bring your own deck chair or rug to sit on. Refreshments are available or bring a picnic.